Happy Holidays! As the year wraps up, my thanks to all who have opened and responded to my monthly roundup of recommended resources to support the important work of nonprofits in the Hudson Valley and beyond. I appreciate your comments and am always pleased to hear when a set of resources is particularly in sync with what’s needed to strengthen an organization. In that spirit, this collection offers how-to help for creating a more diverse board. I’ve long been an advocate for greater board diversity, with emphasis on more individuals of color sitting on nonprofit boards in our region. I’ve amplified my advocacy of late, in part motivated by the recent Leading with Intent national study, featured here in September, which shows little movement or effort toward improving board diversity. If one need is knowing how or where to start, these five resources provide practical ideas and insights. Here’s to a more prosperous and diverse (they’re linked) 2018 for all. The Bridgespan Group is one of my go-to sites for assistance in addressing a host of challenges that nonprofits face. On the topic of building a diverse board, Bridgespan doesn’t disappoint. This brief article is packed with common-sense approaches to getting started in “helping board members better embrace diversity and create more inclusive environments,” as the summary explains. Communicate, act through a plan for change, and measure and monitor are the outline provided, with plenty of what-to-do-first-then-next suggestions for each step. Perhaps it’s the former teacher in me, but I firmly believe that words matter —including having a common vocabulary and agreed-upon definitions of what terms mean. This BoardSource commitment statement spells out its pledge of leadership in promoting stronger and more diverse nonprofit boards. Of particular value are the detailed explanations of what it means for a board to be “intentionally diverse, inclusive and focused on equity.” For gaining consensus on how to define those descriptors for your organization, this document can guide and clarify. “Recognize that diversity brings richness. Diversity brings new ideas. Diversity brings growth. Diversity brings dynamism. Diversity brings energy. And lack of diversity means sameness, dullness, lack of growth.” It’s hard to beat that quote as a solid case for board diversity. Taken from an interview with a board member, it opens a 2012 piece from Nonprofit Quarterly that has maintained, if not increased in, relevance. The article describes how “functional” and “social” inclusion ideally combine to create “transformational” inclusion that boosts the competency and capability of an entire board. To get to that place, best practices for enhancing diversity are noted too. Here’s a quick read from Associations Now that profiles how one national nonprofit, the American Speech-Language-Hearing Association (ASHA), is tackling the process of moving toward greater board diversity, with a key aim to develop a “more diverse leadership pipeline.” One proactive tip from ASHA — using an informal survey of incoming and outgoing board members to gauge attitudes toward board diversity and inclusion, as well as feelings about recruiting more diverse board candidates. The article also presents stats from the Leading with Intent report that speak to the vital need for more action on diversity from every organization. If you missed this BoardSource webinar on November 29, I highly recommend sitting down with this link from Nonprofit Quarterly when you have an hour or so to focus on “Practical Strategies for Board Diversity.” This is part two of a webcast conversation that discusses roadblocks to board diversity and potential ways to get around them. Topics range from growing the “will for change” within a board, to avoiding “tokenism,” to creating “a culture of inclusion” that permeates an organization. If you don’t have time in the holiday fundraising rush to watch now, bookmark the link for a quiet snow day in January. 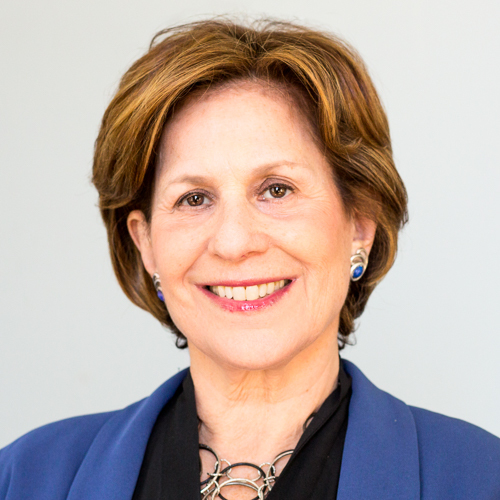 Susan J. Ragusa is a nonprofit strategist with expertise in board/executive leadership and fundraising. She applies her early career experience in education through workshops, training, speaker and panel presentations. Copyright © 2017 Susan J Ragusa, All rights reserved.